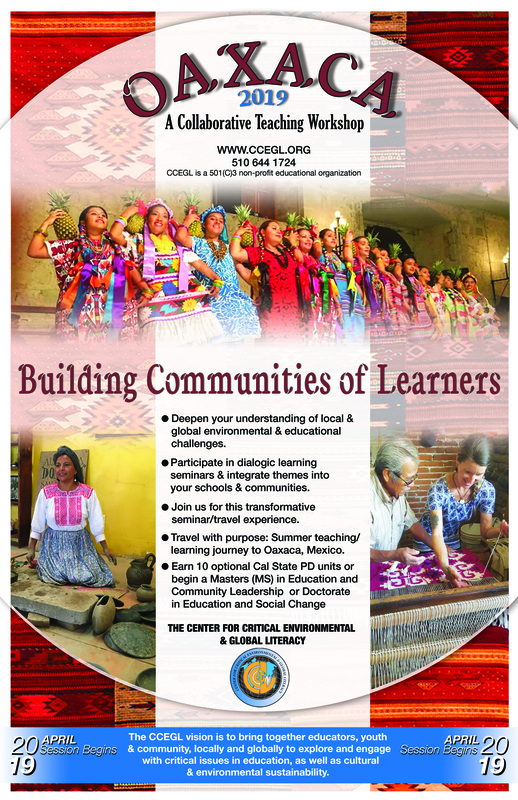 The Center for Critical Environmental Global Literacy (CCEGL) supports innovative educational projects and activities that embrace and infuse a critical, social justice and humanistic approach to education, thinking and action. Our goal is to bring educators, youth and community together to explore critical environmental challenges and to create approaches to education that further environmental stewardship; global cooperation and the development of critical literacy and media skills. The center was founded in the spring of 2008, by a group of professors, teachers and education community activist who believe in popular education and came together to create a new education organization that would bring together the community, the classroom and educators from across the world around the intersection of culture and environmental justice issues.